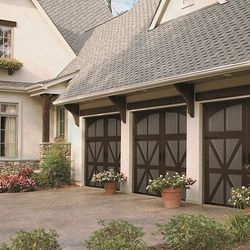 Garage Door Repair & Openers Here! Serving your community since 1995! IF WE CAN'T FIX IT. YOU DON'T PAY. Schedule a visit from a qualified technician @ your house. 100% Customer Satisfaction Guarantee. Free Estimates. Garage Door Needs Repair or Service! My Wife/Husband Drove Into The Door? Local Garage Door Supplier & Service Repair Company GS Overhead Systems is here to set up your garage door and automatic door opener quickly and cost affectively. We've been serving the bay area since 1995 with superior and first class products, repair, and installation. 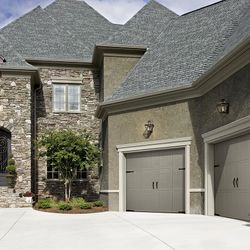 Our specialties include: Repair of garage door, spring replacement for sectional and one piece doors, [torsion springs in stock for fast repairs]. 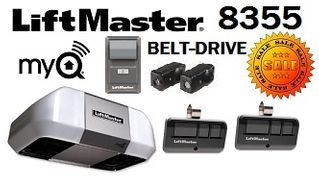 Garage door openers, including LiftMaster and Genie products, remote controls, keyless entry and devices for your garage door opener. Repair garage door openers for Chamberlain and Craftsman. Installed new door operators by certified dealer. Garage door balancing and maintenance. New garage door installation and sales. Steel sectional overhead doors or custom type carriage and special order products to fit your lifestyle. Available for Emergency Service & Repair. Consultations and free estimates on all projects. Outstanding customer service. All reps and techs are courteous, friendly and willing to assist you with your request. 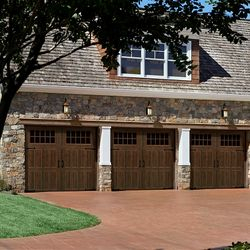 We hope to be able to help you with any garage door problem you may encounter. Serving San Francisco Bay Area And Marin County, Ca. We install top quality garage door openers. Call us for estimates, repair service & maintenance. 415-883-3992. 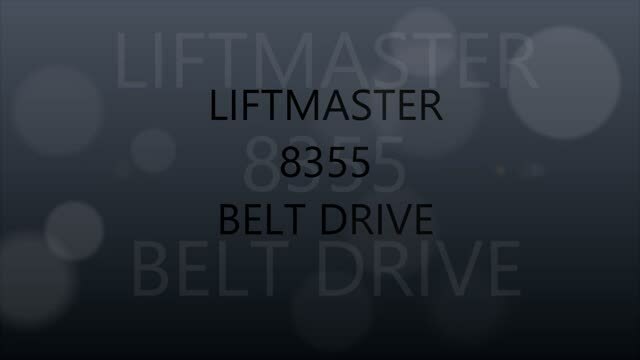 LiftMaster Door Openers On Sale Now...Battery Back Up, Link to Your Cell or Computer via the Internet, Chain Drive, Belt Drive, Screw Drive. Take Your Pick..Great Gift for Mom. Smart, Quiet and Energy Efficient. hardware & parts in stock or can be special ordered. 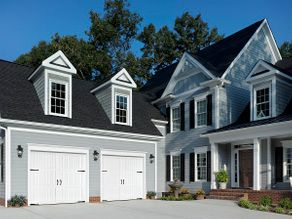 New garage door prices & brochures as well as cost for garage door openers. Weather stripping for wood garage door, bottom seal & garage door trim. The modern day garage door opener is equipped with many safety features. Electric photo eyes, also known as, infra-red safety sensors. Project an invisible beam across the garage door opening and automatically reverse the door if anything interrupts the beam while the door is going down. The motor will react to indicate that the infra-red beam was broken. These cameras should be checked for damage and cleaned to ensure your garage door opener is working properly. Pictured below are intra-red safety cameras for LiftMaster Garage Door Openers. Also compatible with Chamberlain Garage Door Openers and Craftsman Garage Door Openers. Brackets for these units usually strap around the garage door track on sectional and roll up type garage doors. (pictured on the right) Infra-red safety cameras used on Genie Garage Door Openers and Overhead Garage Door Openers. Including Blue Max and Intellicode. Genie 1/2hp Screw drive is a popular model. You may have difficulty with it after 10 years of use. Repairing an opener could run about half the cost of a new one. In the long run, you will save money by upgrading to a new unit. LiftMaster is a brand you might have, also very popular... A professional line of openers, only available at authorized dealers. Pro-Line openers have a solid rail one piece trolley mechanism. Sometimes the door just won't open and the cars inside....Do you know how to operate the Garage Door Emergency release cord? 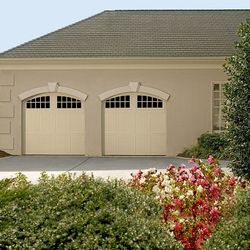 Click The Amarr Logo and browse Garage Door Designs. There are many door manufacturers to choose from. We have chosen to display Amarr because of their superior quality, elegant designs and good customer service.